Quick and easy support of a live interpreter during your conversation with interlocutors with a different (native) language each. 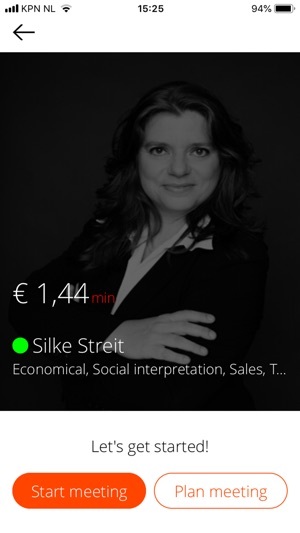 Select your 'real human interpreter' by language combination, specialism and price and integrate him or her in the conversation. The interpreter, professional and certified, is immediately within a few seconds or by appointment available to support. Interpreters for translation support in international business activities, in hospitals, on trips or holidays, or in other situations where the importance of a sound translation is high. 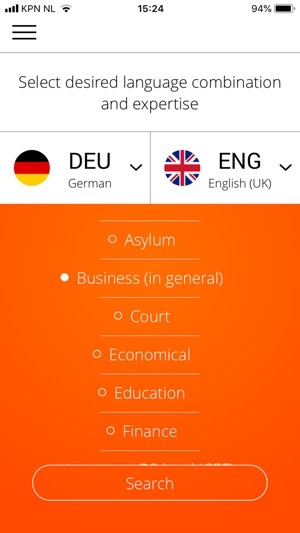 Hundreds of professional interpreters in your pocket. Gives you the assurance to be well understood, anywhere in the world. + Professional interpreters available in over 45 different (world)languages in many language combinations. + Language combinations for in all continents. + Sign language interpreters in various languages. + All interlocutors and the interpreter take part in the conversation in audio and video on the screen or screens of the conversation participants. + Applicable for face-to-face conversations as well as in conversations where the conversation partners are at some distance from each other. For example, customers abroad. + The conversation participants can switch the audio or video on or off independently during the conversation call. + Secured and easy payment for the support of the interpreter (more information in the disclaimer and the manual). 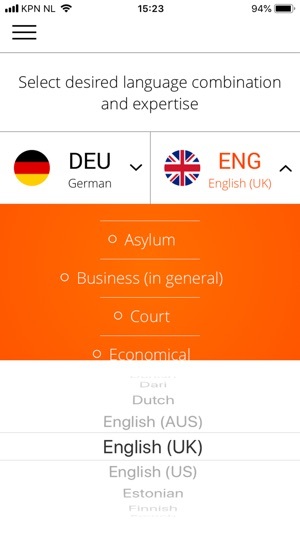 + The number of interpreters and available language combinations are still growing and are at your service immediately without updating the Capio-app. + Use the app on any iPhone and iPad with iOS 9.0 or higher. + The app and the services are supported within Wifi range, 3G, 4G or 5G range. 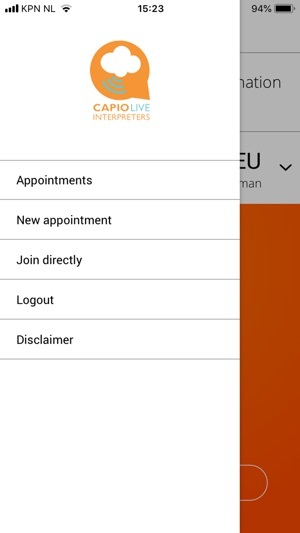 Register as a customer and create an account by clicking the 'Register' button on the opening screen of the Capio-app and filling in the information fields. Press ‘next’ after entering information in each field. After the last field you are automatically registered and the Capio-app opens. 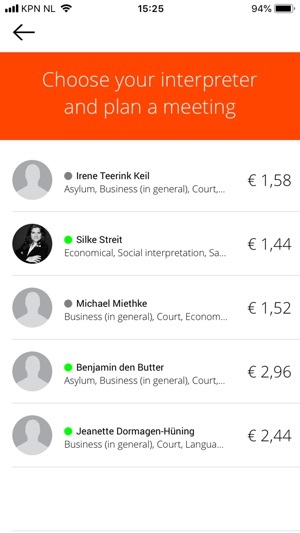 Before professional interpreters can support you, Capio to check your financial payment information asks you for a one-off payment of 1 euro. After the first support by an interpreter, Capio settles this euro.